Summary: Every spring, millions of horseshoe crabs flock to the shores of the Delaware Bay. As they have done since before the time of the dinosaurs, the crabs lay their eggs in the sand. Meanwhile, flocks of different types of birds make their way to these same shores as they migrate to the Arctic. They are hungry and weak on their arrival, and the horseshoe crab eggs are packed with fat and protein. They feast on the eggs, sometimes doubling their body size in just a few weeks. Many eggs remain, though, buried in the sand until the birds have continued on their way. Then, tiny crabs the size of ladybugs hatch and swim into the sea. People come from all over to watch and study this chapter in the lives of the horseshoe crabs and the birds. Grades K-4. 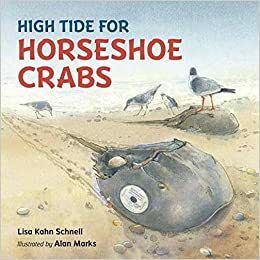 Pros: Having spent many summers in Cape May, New Jersey, I can remember finding the remains of horseshoe crabs on the beach. I never suspected the fascinating story behind these ancient looking creatures. This book makes science accessible to even the youngest students. The story is clearly written and beautifully illustrated, and the end material gives more interesting information. Readers will want to study the labeled drawings on the end papers. Cons: I didn’t really understand the page that simply said, “It’s happening!” which seemed to connote an exciting event that wasn’t quite clear to me. Summary: When Jenna’s great aunt Tannie falls and breaks her ankle, Jenna’s mother decides it’s time for Tannie to come live with them in Virginia. It’s not easy to convince Tannie, who’s always loved living on her farm in Mississippi, and who used to ride a motorcycle and play soccer. But Mom ultimately prevails, and Tannie comes home with them. Jenna struggles with the new Tannie, who uses a walker and needs help taking a shower. Plus, Mom is busier than ever, leaving little time for Jenna. Fortunately, Tannie herself sees the changes her presence has created and is able to come up with a solution to make their family stronger than ever. Ages 7-10. Pros: The characters are upbeat and resilient, but realistically drawn as well. This book could initiate a discussion about families and how they can work together through changes. Cons: At 96 pages, there’s not enough room to explore all the issues this story raises. I believe at least one of these books will get some sort of Newbery recognition this year. They are not only the best historical fiction I’ve read this year, but among the most memorable books overall. Put your beach time to good use by picking up one of these this summer! 12-year-old Pete gets caught up in a tangle of lies and secrets in Cold War-era Brooklyn. A good introduction to McCarthyism and the 1950’s, presented in a page-turning story. Personal aside: This book gets my vote for this year’s worst cover. This may be my favorite book of the year (so far). Ada and her brother are evacuated to Susan’s house to escape the bombing of London during World War II. 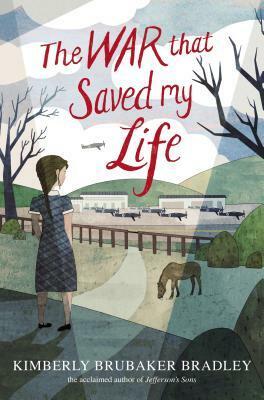 Susan, overwhelmed by loss and grief, has no room in her heart to love these two children. Ada, kept a virtual prisoner by her mother because of her club foot, is desperate to stay. You can’t help but take the characters to heart, and the ending is so, so perfect. 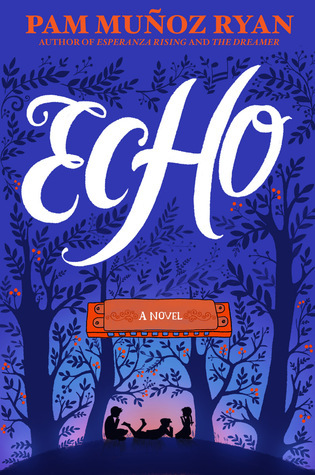 Echo by Pam Munoz Ryan. Published by Scholastic Press. So engrossing the 592 pages fly by. Three stories–Friedrich in Germany just before World War II, Mike in Pennsylvania a few years later, and Ivy in California in the midst of wartime–share the common link of a magical harmonica. Music ties all three stories together in a satisfying conclusion. Cast Off: The Strange Adventures of Petra de Winter and Bram Broen by Eve Yohalem. Published by Dial Books. A maritime adventure worthy of the Bounty or Charlotte Doyle. Petra and Bram struggle to survive on a Dutch sailing ship, complete with keel-hauling, pirates, and mutiny. Life in the twenty-first century never looked so good. Summary: “This summer still hangs heavy and sweet with sunlight as it did last year./The autumn still comes showering cold and crimson as it did last year./The winter still stings clean and cold and white as it did last year./The spring still comes like a whisper in the dark night./It is only I who have changed.” After this introductory poem, the book moves through the circle of seasons, beginning with spring, with several poems in each section that describe a simple, observable moment of that season. 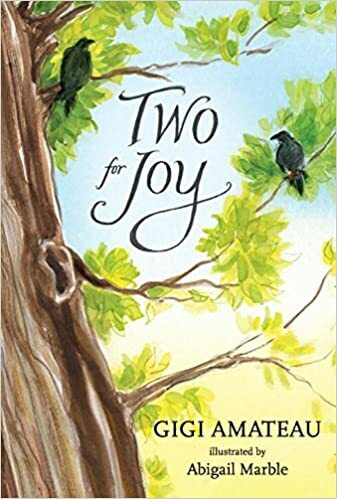 Beautifully illustrated with soft, seasonal colors, every poem is written by children’s literature legend Charlotte Zolotow, whose hundredth birthday this book commemorates. Grades K-4. Pros: These poems seem like throwbacks to an earlier time, in a good way. They are simple enough for a very young child to understand, yet beautiful in their imagery; “Little trees like pencil strokes/black and still/etched forever in my mind/on that snowy hill.” This would be a wonderful introduction to both readers and writers of poetry. Cons: Readers raised on the likes of Shel Silverstein and Jack Prelutsky may need some guidance to appreciate this sort of poetry. 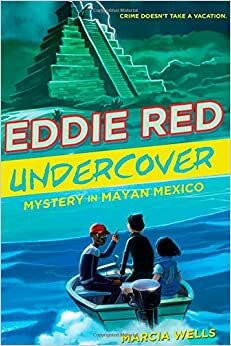 Summary: Fresh from solving his first case with the NYPD, Eddie Red and his friend Jonah are ready to relax in Mexico on a vacation with Eddie’s parents. But on their first day, a valuable Mayan mask is stolen from the hotel lobby, and Eddie’s father is a prime suspect. Using his photographic memory and drawing skills, Eddie teams up with Jonah and a Mexican girl named Julia to try to find the real thief. When the Mexican police chief puts Eddie’s father under house arrest, Eddie knows he’s running out of time. Will he be able to solve the mystery before his father ends up in jail? Grades 4-6. 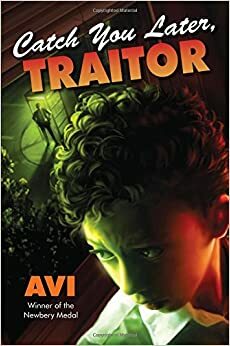 Pros: The introduction draws the reader in quickly, with a blood-covered Eddie in a Darth Vader costume calling his parents from a Mexican jail cell, accompanied by an unconscious Jonah. From there, the action shifts back two weeks to reveal how they got there. Eddie’s voice is frank and funny, and Jonah is a perfect sidekick. Cons: The clue that allowed Eddie and Jonah to finally figure out the solution to the mystery seemed a bit far-fetched. Summary: Possum is scared. He warns Skunk that they’d better hide from the night animals. Before long, they’re joined by a nervous wolf (“Help me!” “Help YOU?! You’re a wolf!”), and then by a bear. When a shadow appears across the moon, all four animals freak out until they realize it’s just a bat. The bat asks them why they’re so scared; when they tell him it’s because of the night animals, he tells them, “You ARE night animals!” That reassures them until they come across some campers in a tent. The campers and the animals manage to scare each other, and each group runs off in opposite directions. Ages 3-8. Pros: Cartoon bubbles keep the dialogue short and funny. 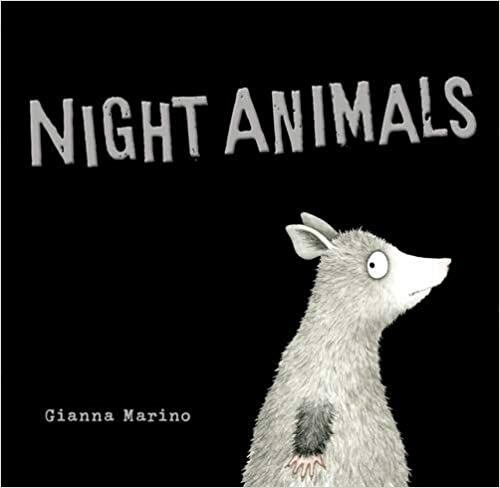 The white parts of the animals, including their big round eyes, seem to glow in the dark against the black background. Anyone who has ever been told, “They’re just as afraid of you as you are of them” will surely appreciate this book. Cons: The interesting facts about each animal are printed on the back of the dust jacket, which make them inaccessible on library books. Summary: 12-year-old Gladys Gatsby has recently launched her career as a restaurant reviewer by publishing a successful review in the New York Standard. 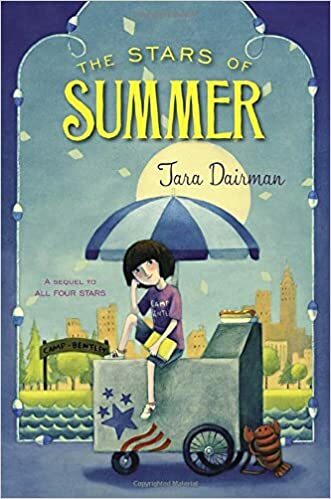 She’s deep into her second assignment when her friend Charissa surprises her with a birthday gift: a whole summer free at Charissa’s family’s day camp. Gladys is crushed, having planned to spend her summer cooking and writing. But her parents insist, and off Gladys goes to the unpleasant world of swimming, arts and crafts, and archery. She fails her swimming test and has to put up with a snobby boy celebrity who’s also at camp against his will. Things start to look up a bit when she is assigned the morning task of helping the camp cook, and inadvertently winds up remaking the menu. Meanwhile, her editor has asked her to find the best hot dog in New York City. The deadline is looming, and Gladys is stuck at camp every day. Is her career as a restaurant reviewer doomed? Grades 3-6. Pros: With its fun cast of characters and lighthearted but engaging plot, this is a perfect beach read for a hot summer’s day. Cons: There were quite a few references to the first book, All Four Stars, so it’s probably better to start with that one.